The British government is drawing up guidelines to limit the number of hours children spend online on social media sites and apps. UK health secretary Matt Hancock, on Sunday, said he has ordered the plans to be drawn up and attacked social media giants such as Facebook for not policing their own rules on users’ age limits. 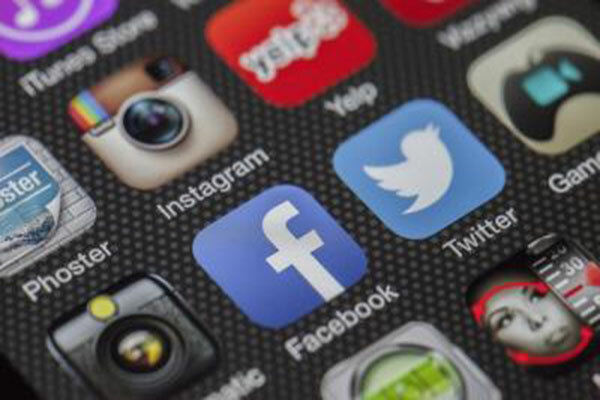 Dame Sally Davies, the UK’s chief medical officer, has been put in charge of drafting guidance on how much social media use should be deemed healthy. “As a parent you want to be able to say ‘The rules say you shouldn’t use social media for more than a certain period of time’. This is why we have a chief medical officer: to set a norm in society, make judgments on behalf of society, so that individual schools or individual parents don’t have to decide,” Hancock told the ‘Observer’ newspaper. The minister suggested that turning phones off before bed would be a “straightforward way of limiting the damage”. Davies will also be asked to give advice on minimum age for the use of social media sites. According to the UK’s media watchdog the Office of Communications (Ofcom), only 38 per cent parents of children with Facebook accounts are aware of the minimum age requirement for setting up a profile. “The terms of reference of Facebook and Instagram say you shouldn’t be on it if you are under the age of 13. But they do nothing to police that. The guidelines for WhatsApp say you shouldn’t be on it unless you’re 16. But again, they don’t lift a finger,” Hancock said. The senior Conservative Party MP, who was speaking ahead of the annual party conference in Birmingham, said he hoped that in time, the guidelines – to be ready “as soon as possible” – would become the “norm” and be seen as the recommended maximum alcohol consumption limits for adults.